It's incredibly rare for us to hear an album and wonder exactly what we're listening to. For an artist to completely ignore the conventions of a genre so much that you wonder if it's even technically in that genre any more. 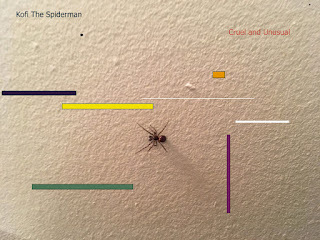 The latest EP from Kofi The Spiderman does this. Cruel and Unusual is by default hip hop, but it won't fit into anything you consider hip hop. It's minimal, but mostly because musically it doesn't sound like hip hop that you know. The most familiar element is the sparse sample of The Beatles's "Blackbird" in "Get the Money." Aside from that, it's strange notes and sounds stuttering and rambling along to match Kofi The Spiderman's mumbling rap. This is hip hop stripped down to it's bare bones, like The Ramones did with rock back in the 70's. It's just such a strange and unique release, unlike anything I've heard before. All music fans need to check this out. You can listen to "Nurse Ratchet" below. 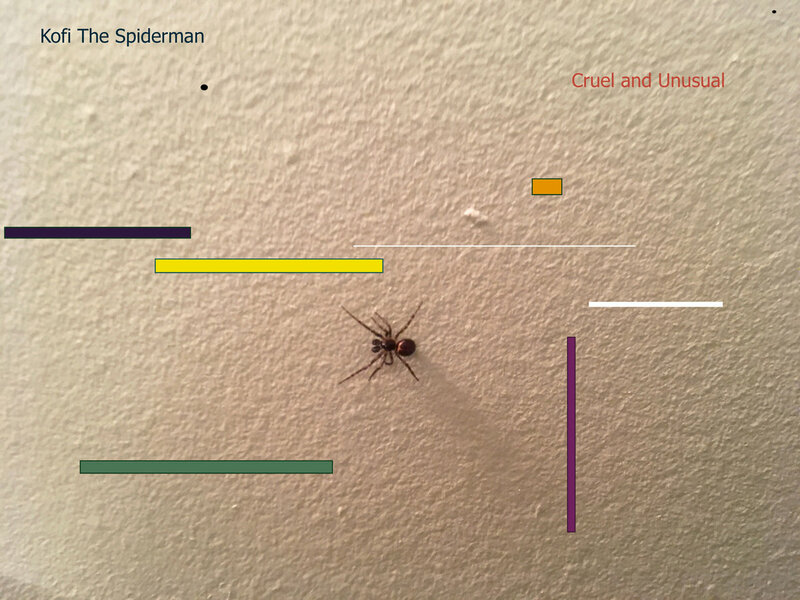 You can listen to and purchase Cruel and Unusual on Bandcamp.